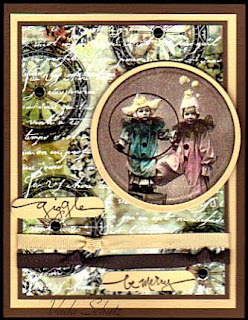 Vada's Blog Stamp Inks and Paper : Giggle and Be Merry. Some days you feel like a nut, and some days you don’t. Today is a Nutty Day! From April 2007 newsletter, another Alcohol Ink Press. Stamps used; Stampendous, Hero Arts, TAC and Stampin’ Up. Gorgeous- I love the pretty BG and the main image is wonderful!! !